The Webby Awards are like The Academy Awards for internet content creators and this year, it’s adding a brand new category — mobile apps. As the landscape of the web changes, the folks behind The Webby’s are adding new award categories to reflect the impact of emerging spaces on the web, and the buzz surrounding mobile apps have been exploding to say the least. In the last few years, mobile apps have been ingrained in our culture and mobile developers are driving an unbelievable amount of innovation on the web. There’s an assortment of categories within the mobile category including; lifestyle, best use of the device’s camera, best use of GPS or location based technology and best use of the mobile video. All in all, there’s currently 25 mobile-related categories for mobile developers to enter. Have you created an amazing app? Or know of one that you think deserves a Webby? 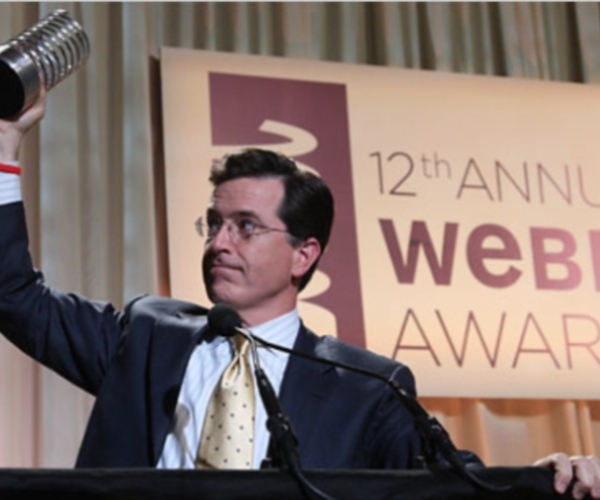 The Webby Awards will be accepting submissions until January 28th, 2011 and the nominees are slated to be announced sometime in April. The apps that are picked will receive some genuine fame and will be whisked away to The Webby’s gala ceremony in June. And, you might even have a chance to meet one of the esteemed judges including David Bowie, Arianna Huffington or one the mobile industry leader judges. The new app category will be judged by mobile experts such as Biz Stone (co-founder Twitter), Dennis Crowley (co-founder FourSquare), Jeremy Stoppelman (CEO Yelp.com) and Thrillist’s co-founder Ben Lerer. A group of people who’ve all been integral in the mobile app realm. In our fifteen years honoring the best of the Internet, we’ve seen few developments have as profound an effect as apps and the mobile Web,” said David-Michel Davies, executive director of The Webby Awards. “Apps have transformed the online experience, changing the way we access content, and enhancing every aspect of our daily lives. We’re looking forward to honoring not only these pioneering innovators but also the Websites, videos, and advertising that continue to shape the Internet’s future. It’s hard to believe this will be the 15th year we’ve been watching the Webby’s and with the inclusion of handheld and tablet apps it has continued to remain relevant. I’m personally excited to see who or what makes the cut — maybe it’ll even be someone we know. Read next: Will 2011 be the year of the musical robot?